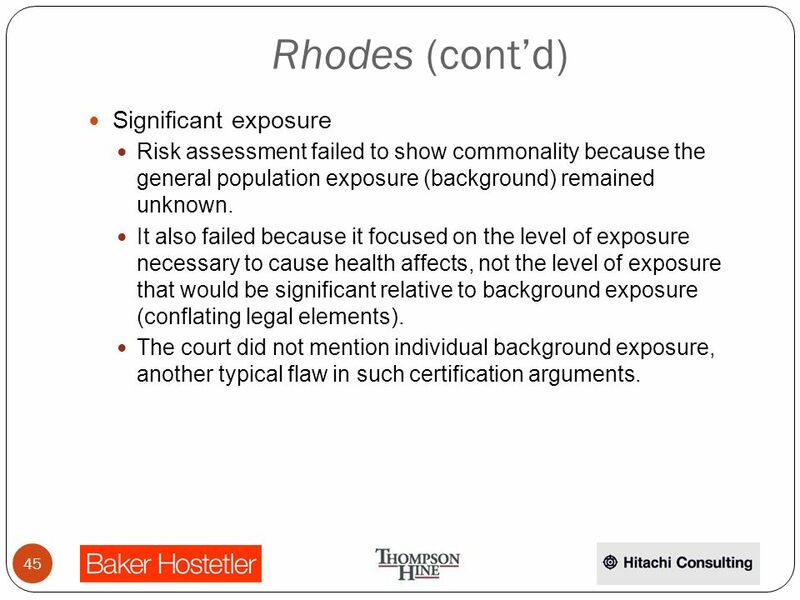 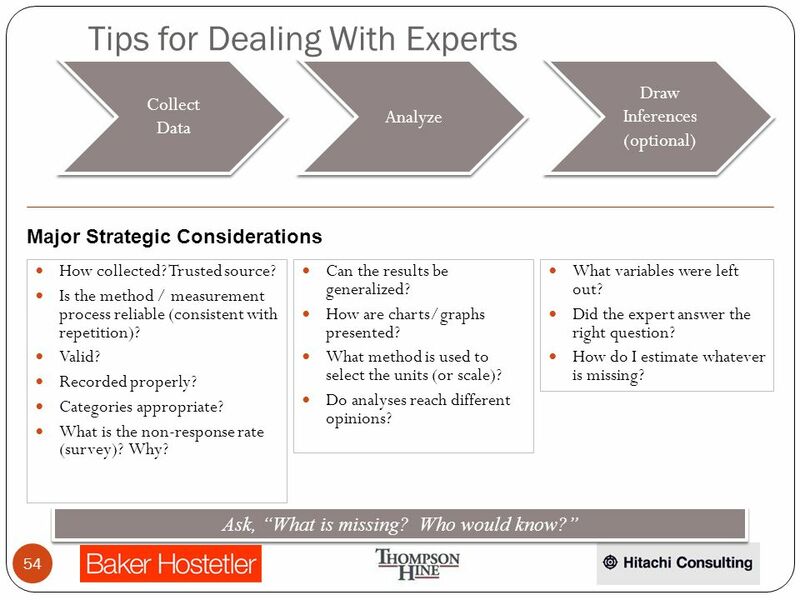 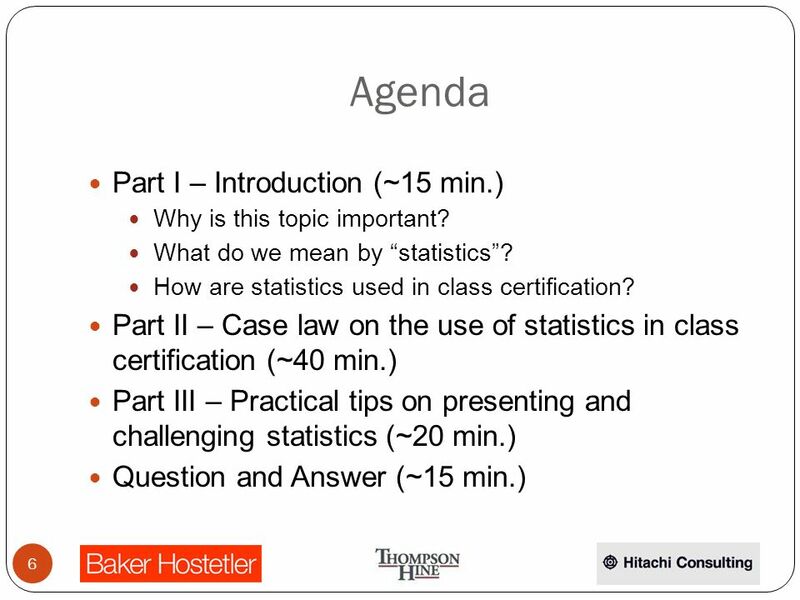 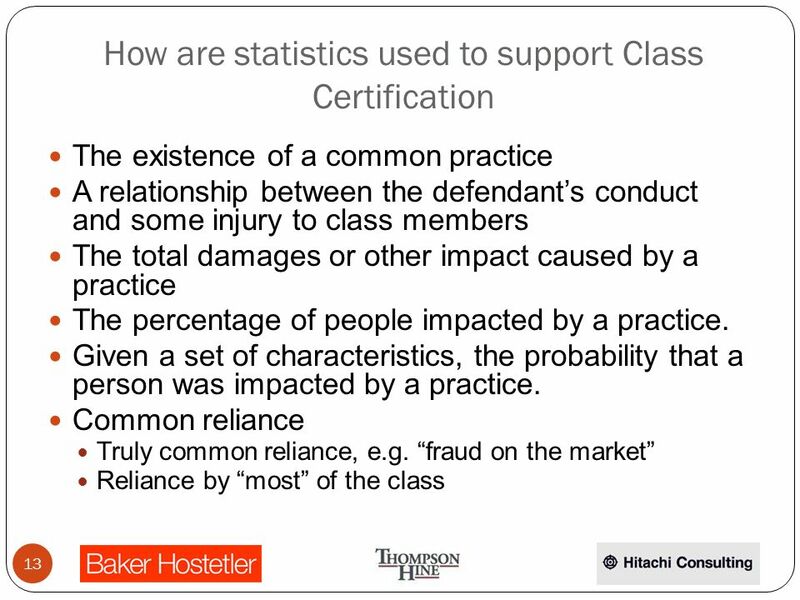 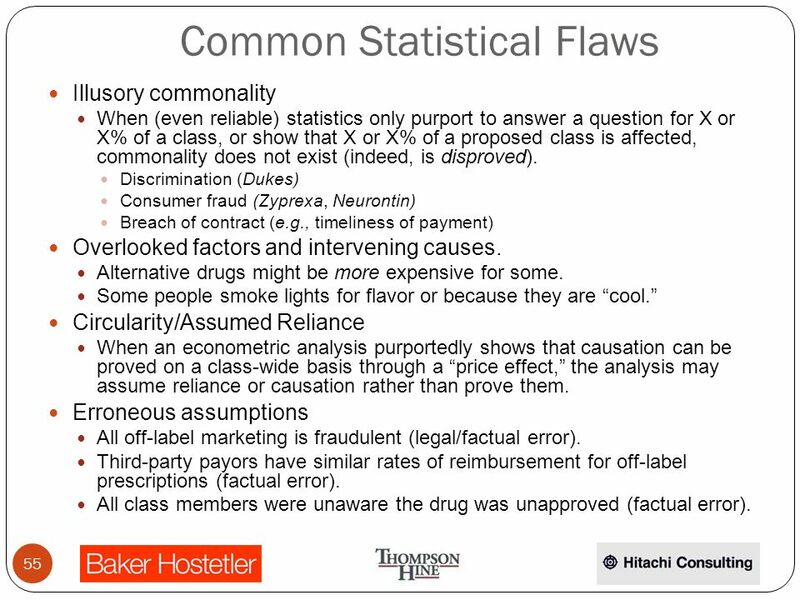 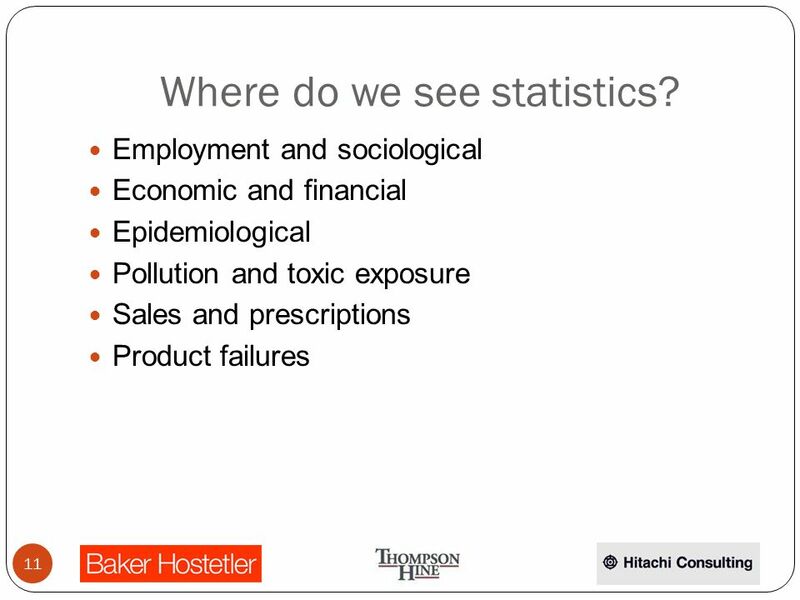 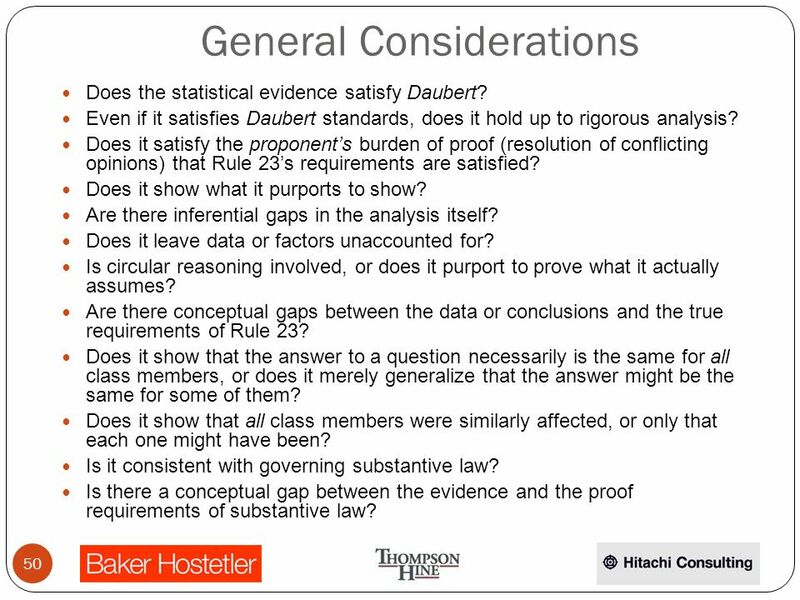 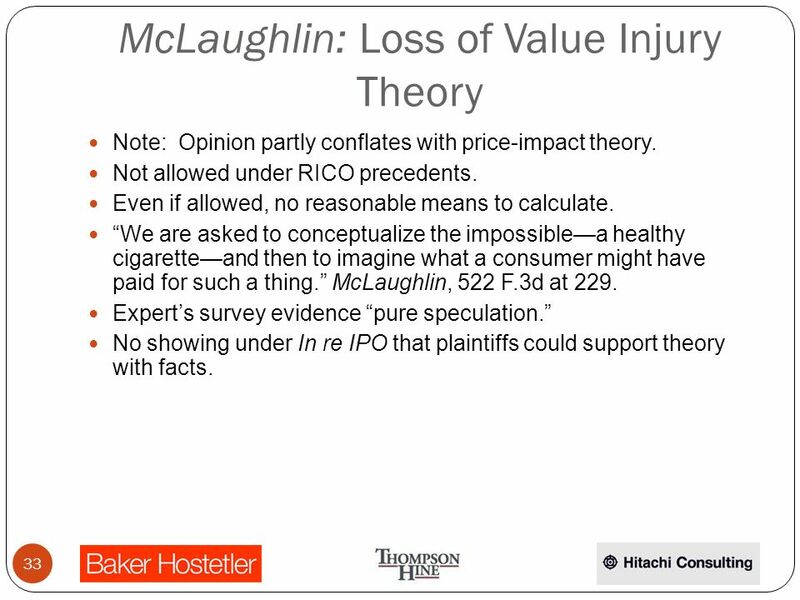 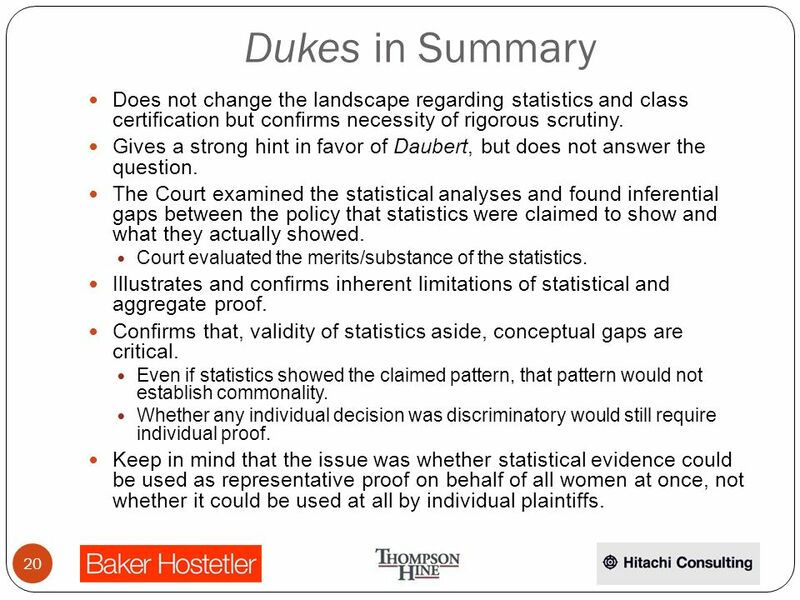 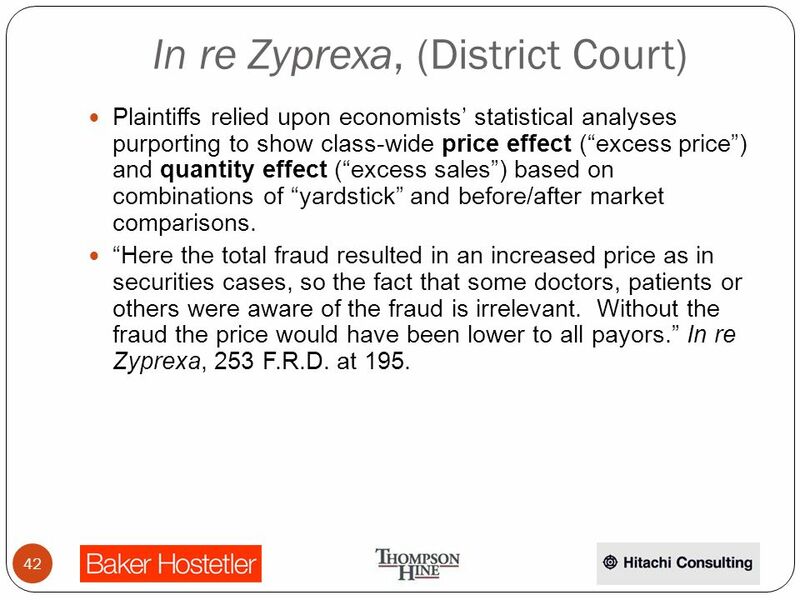 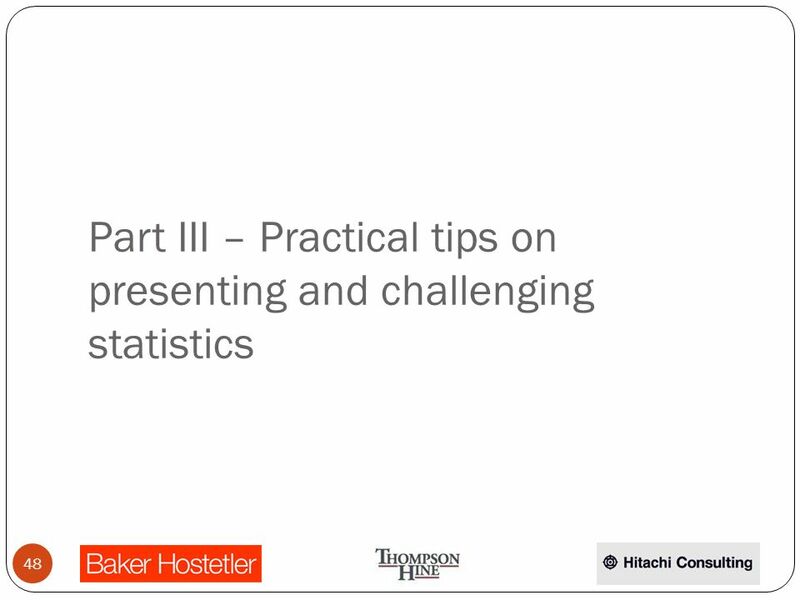 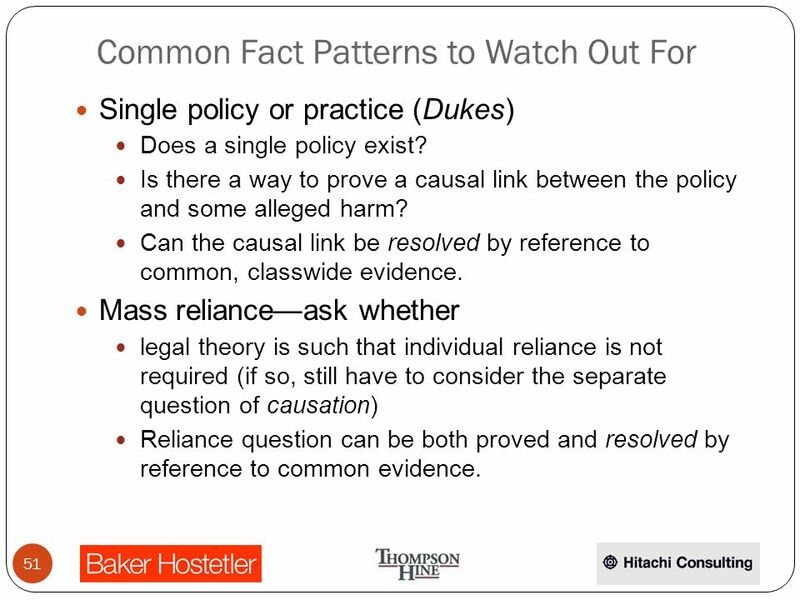 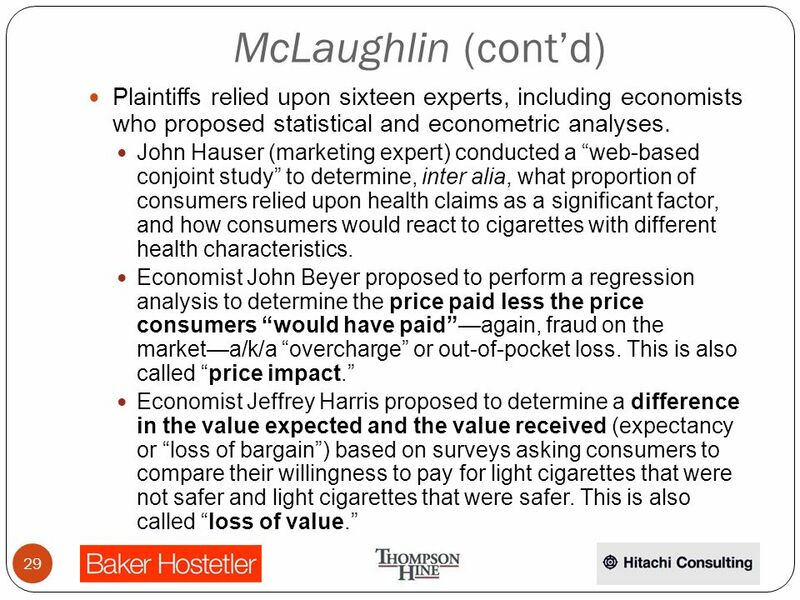 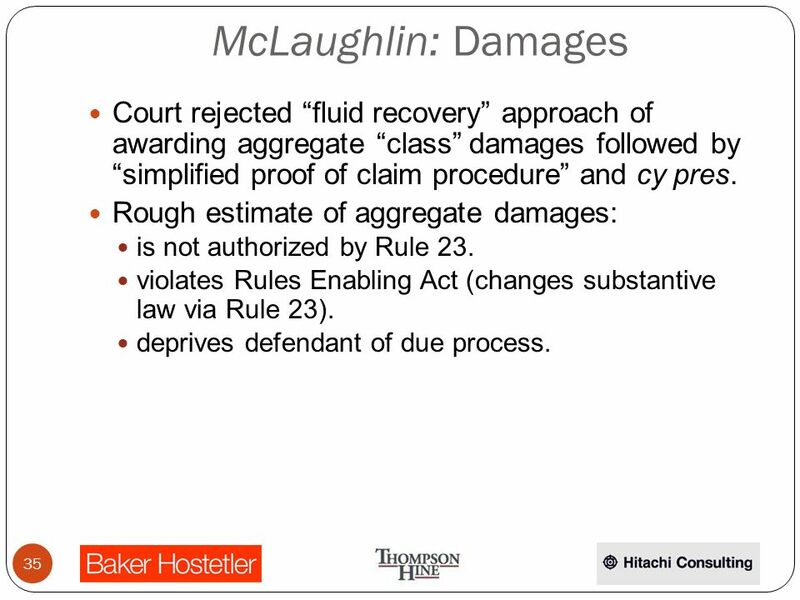 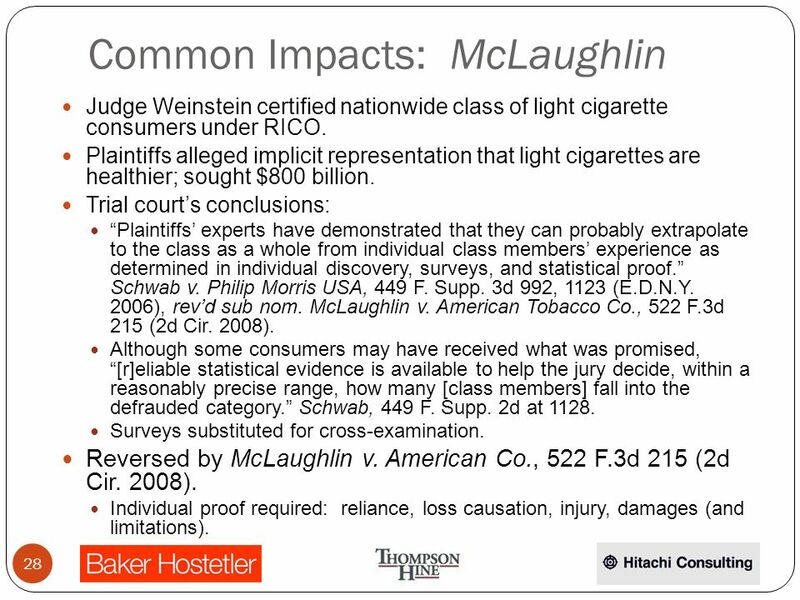 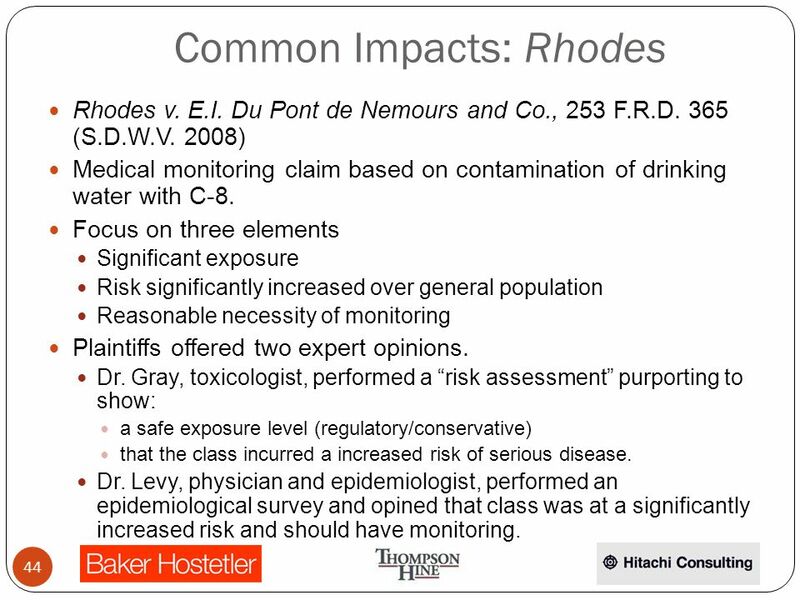 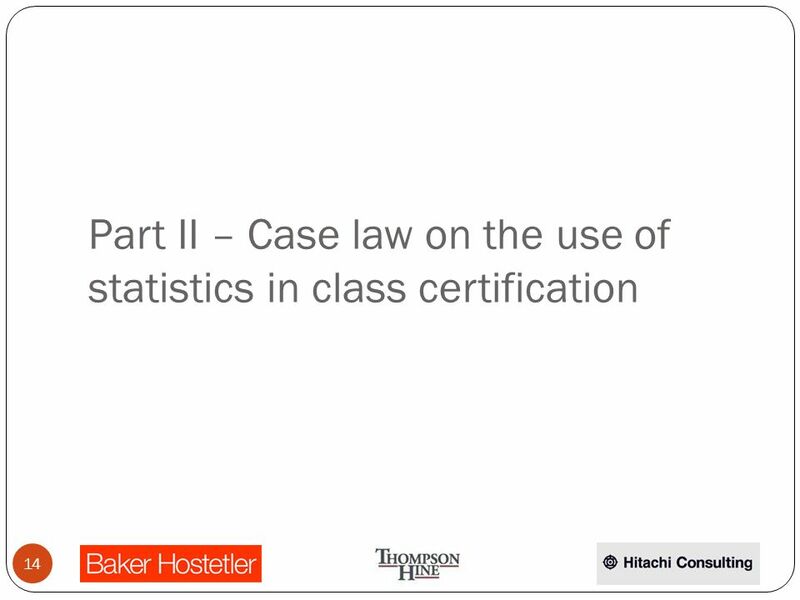 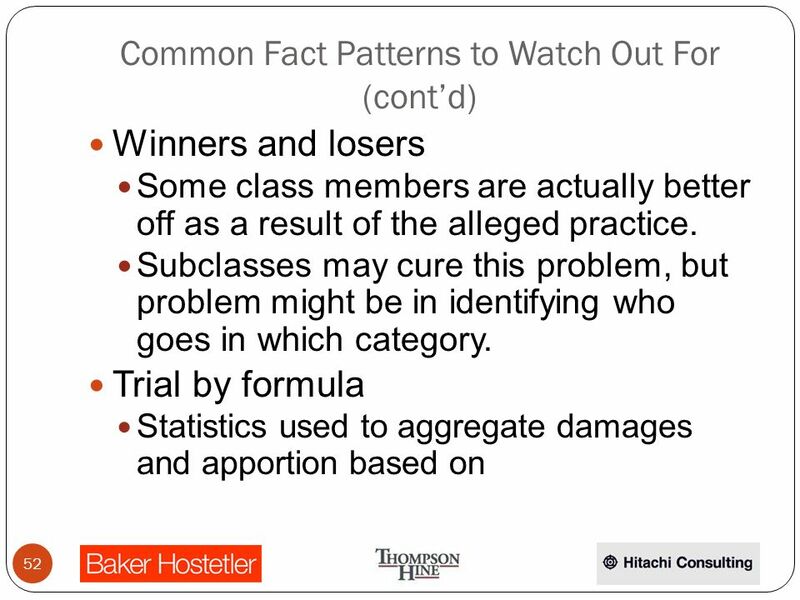 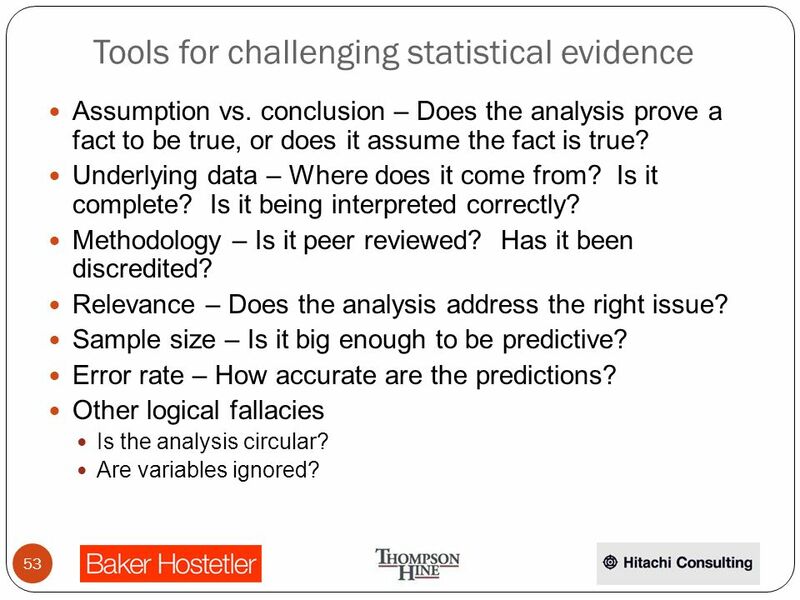 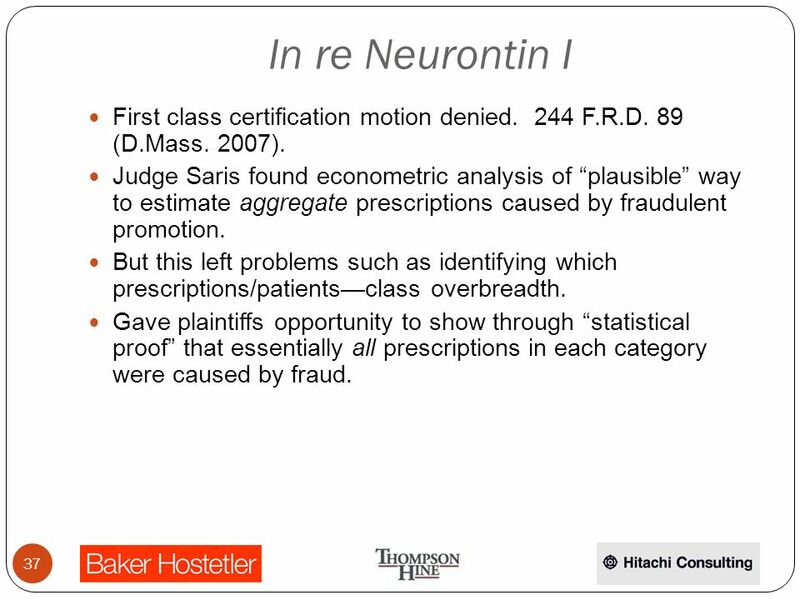 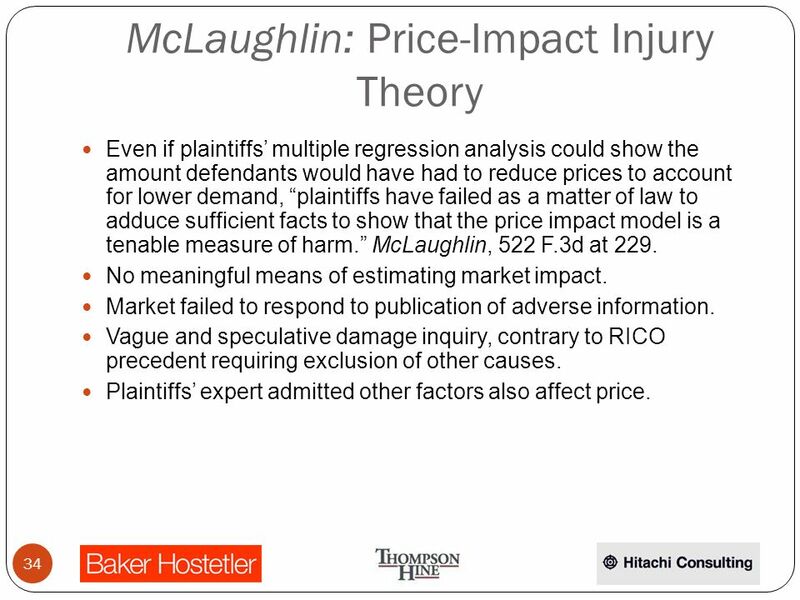 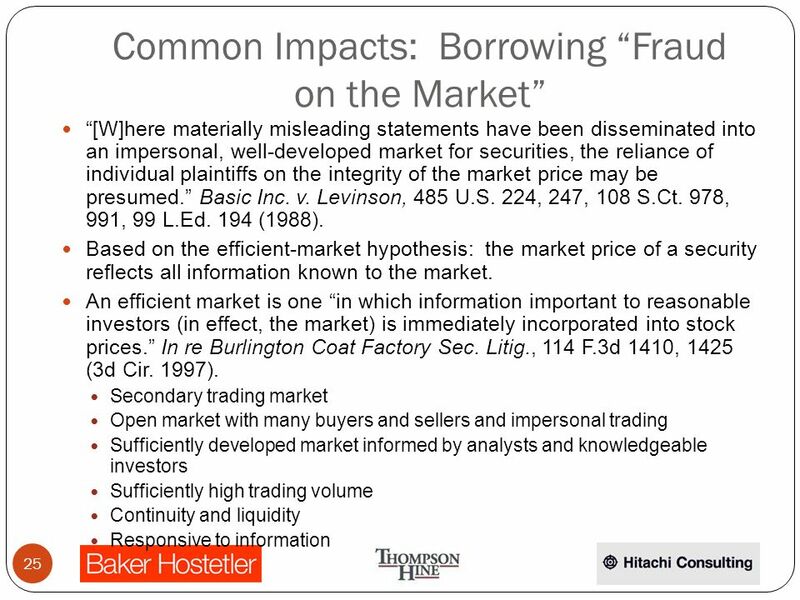 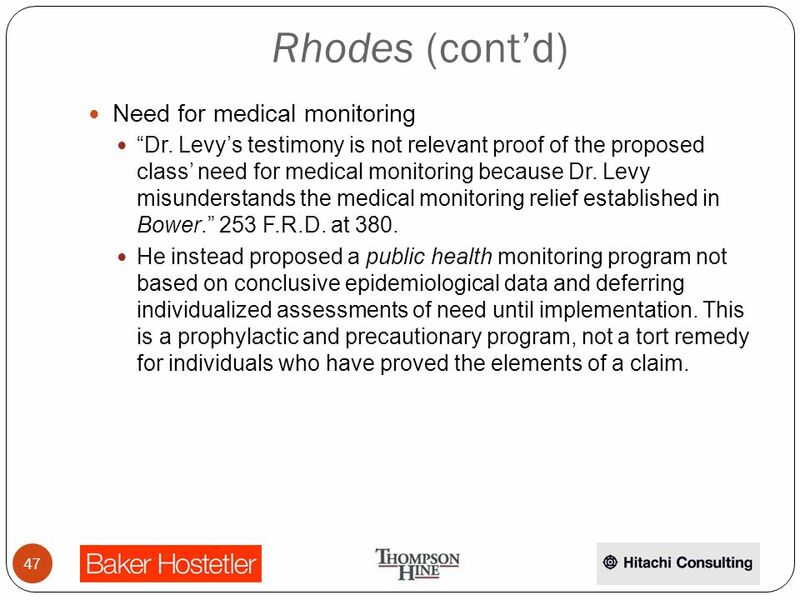 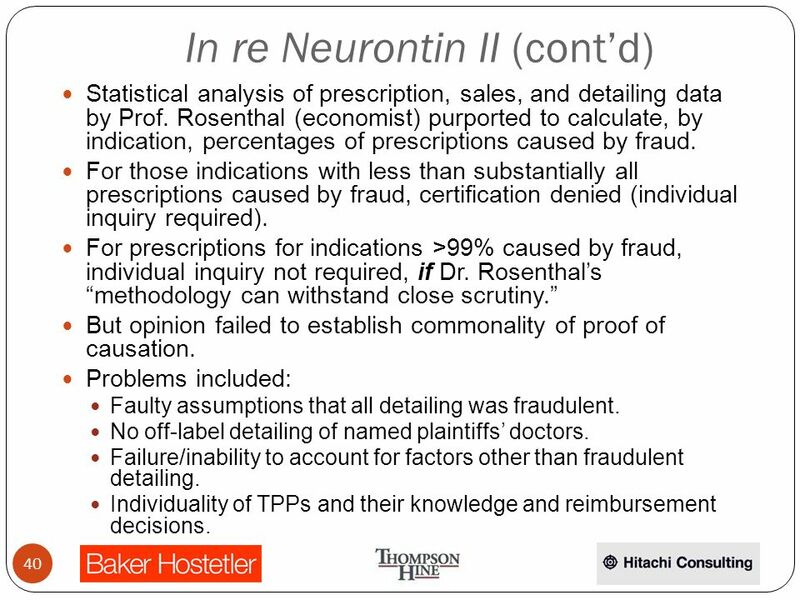 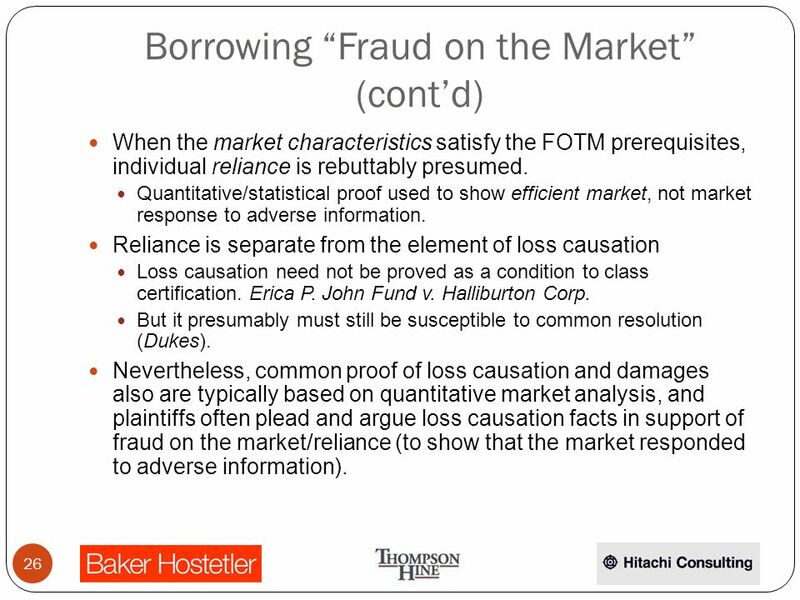 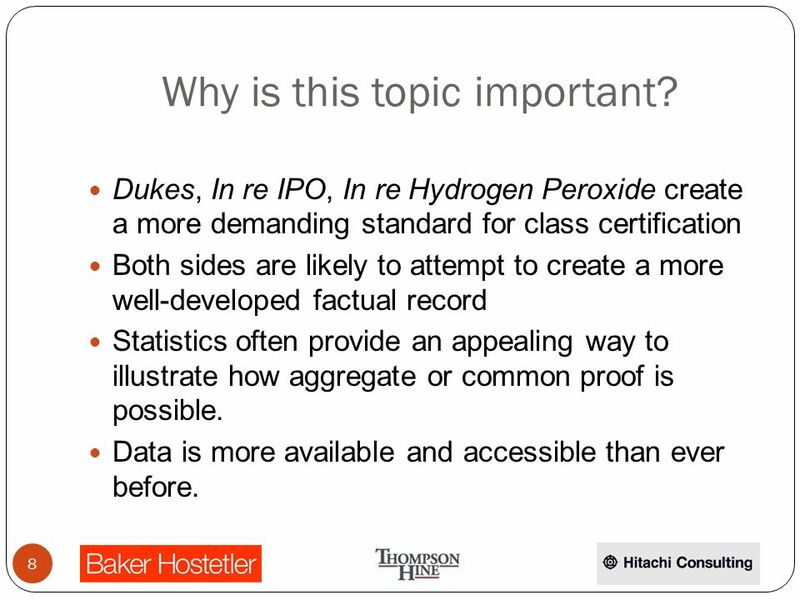 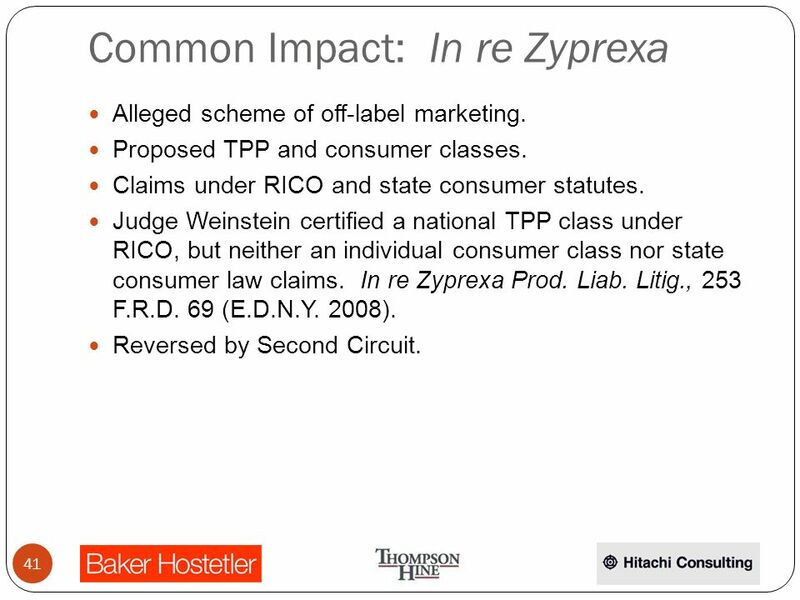 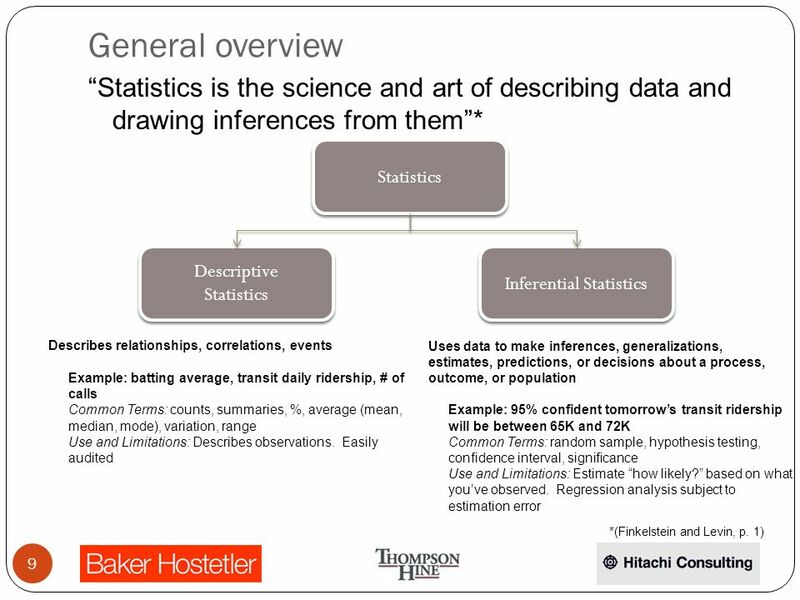 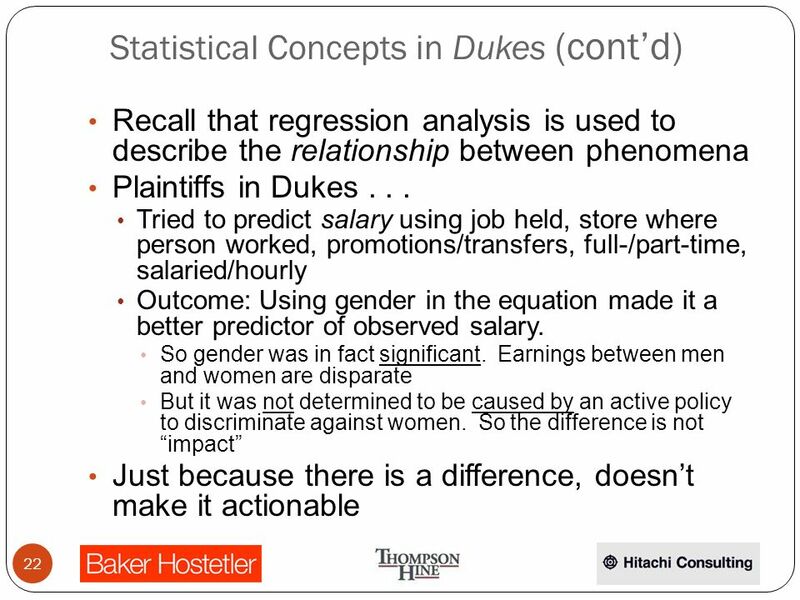 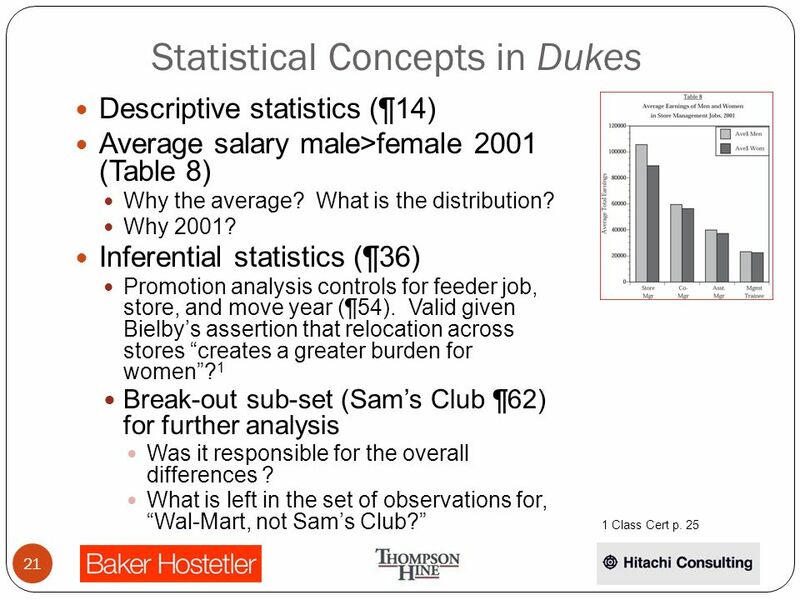 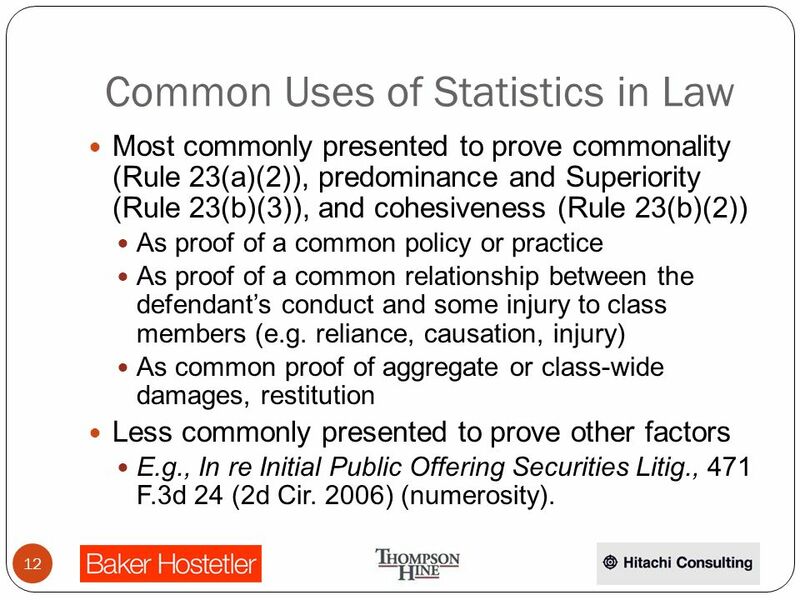 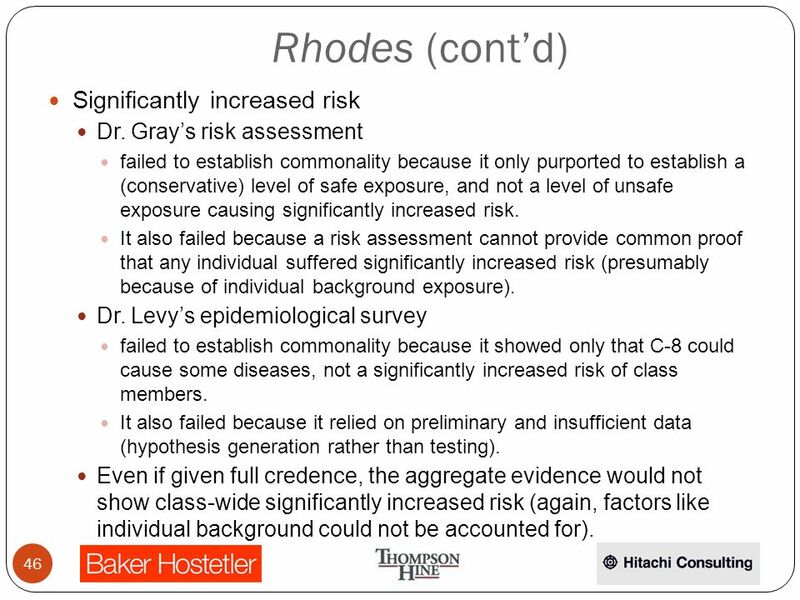 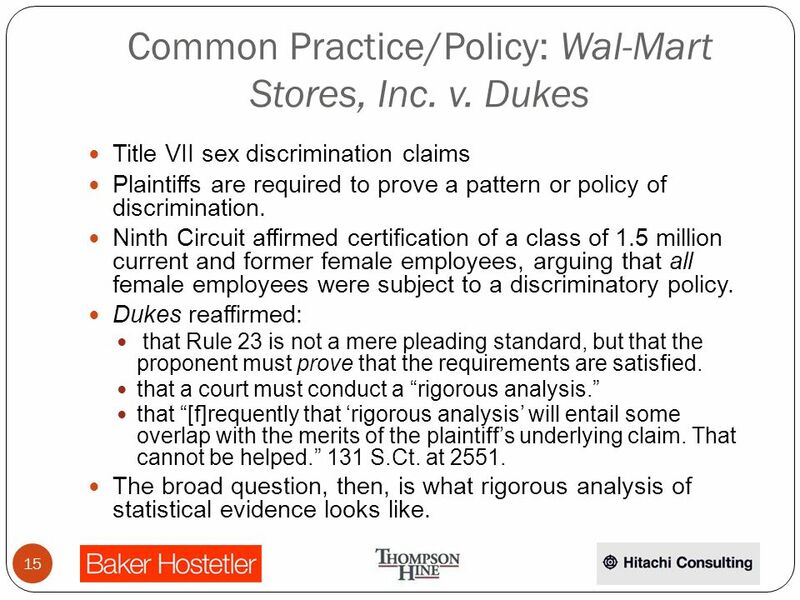 Statistics in Class Action Litigation: Admissibility and the Impact of Wal-Mart v. Dukes Crafting Provisions to Allocate Risk, Avoid Common Pitfalls, and. 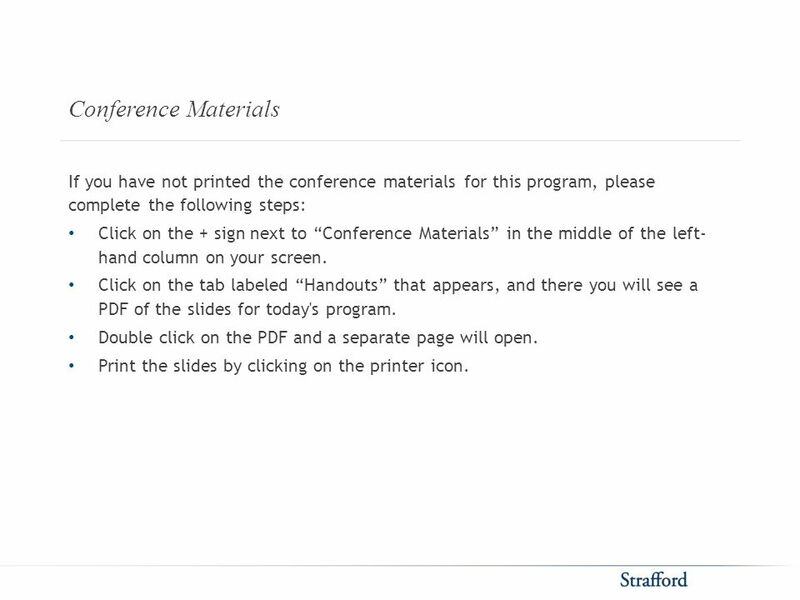 2 Conference Materials If you have not printed the conference materials for this program, please complete the following steps: Click on the + sign next to Conference Materials in the middle of the left- hand column on your screen. 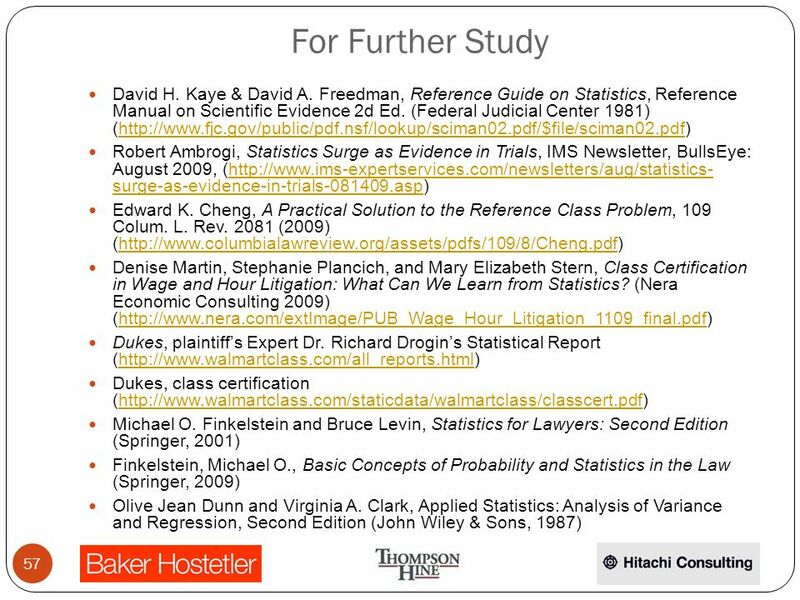 Click on the tab labeled Handouts that appears, and there you will see a PDF of the slides for today's program. 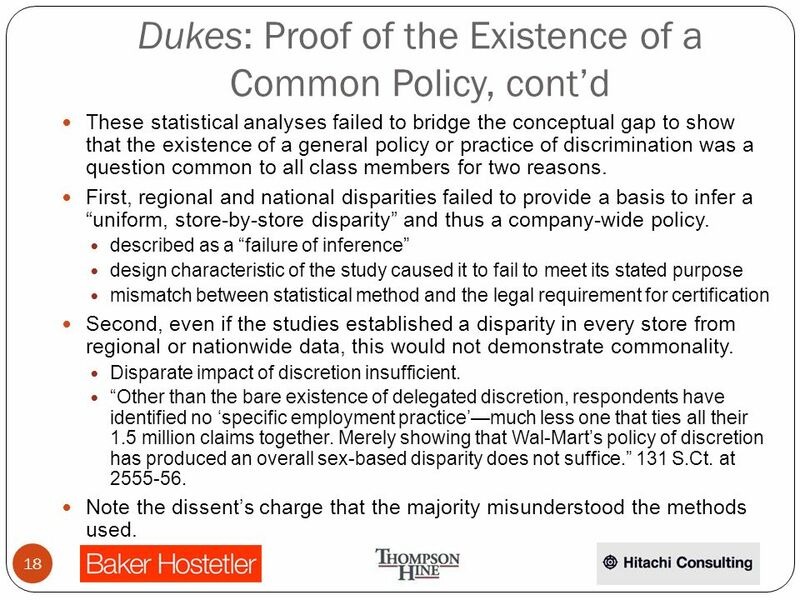 Double click on the PDF and a separate page will open. 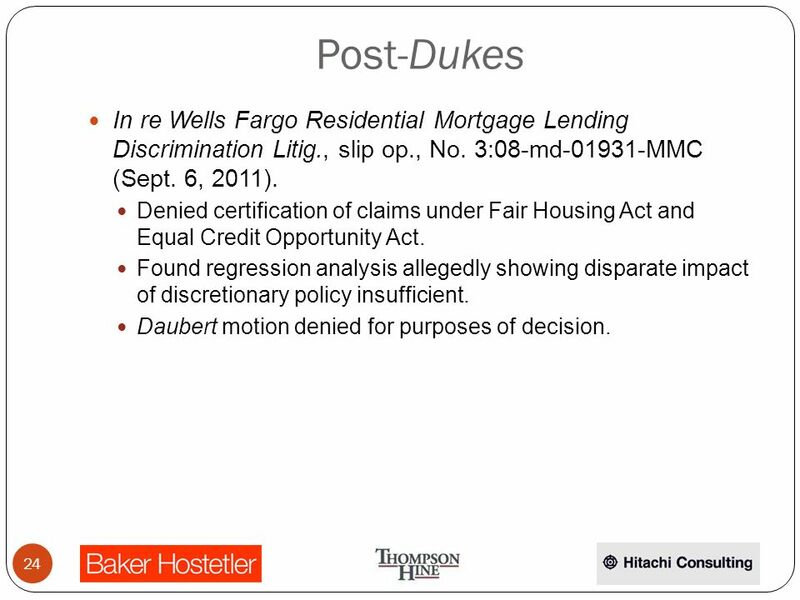 Print the slides by clicking on the printer icon. 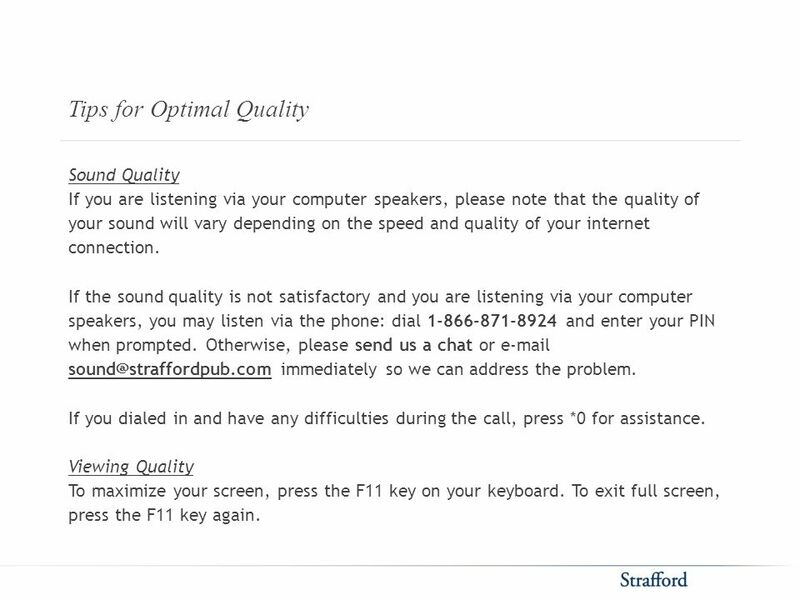 4 Tips for Optimal Quality Sound Quality If you are listening via your computer speakers, please note that the quality of your sound will vary depending on the speed and quality of your internet connection. 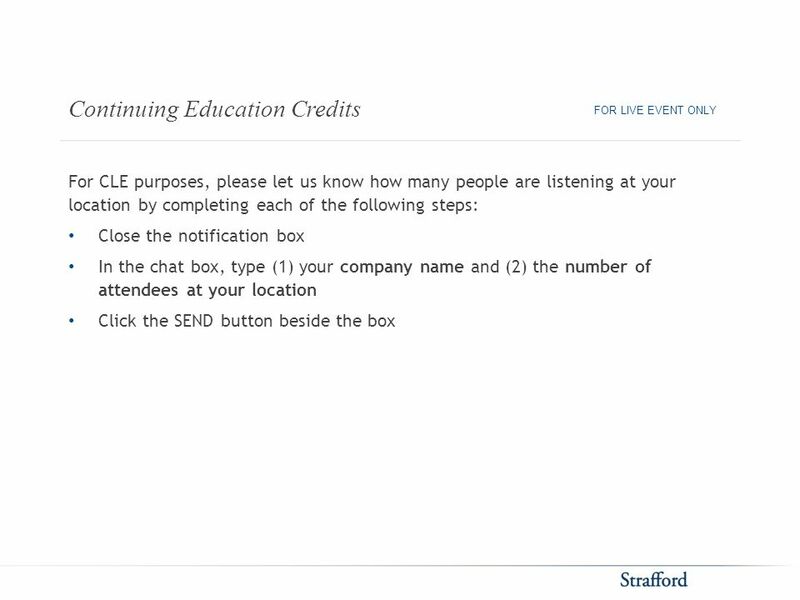 If the sound quality is not satisfactory and you are listening via your computer speakers, you may listen via the phone: dial 1-866-871-8924 and enter your PIN when prompted. 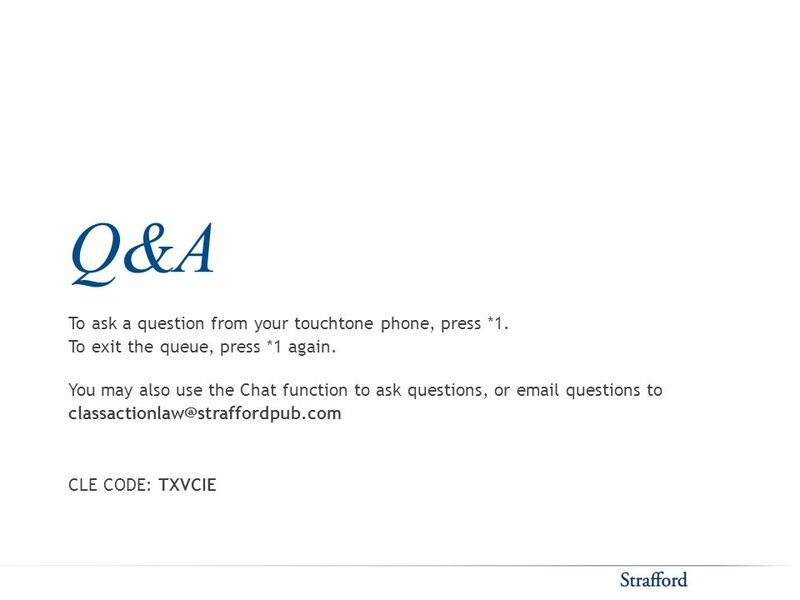 Otherwise, please send us a chat or e-mail sound@straffordpub.com immediately so we can address the problem. 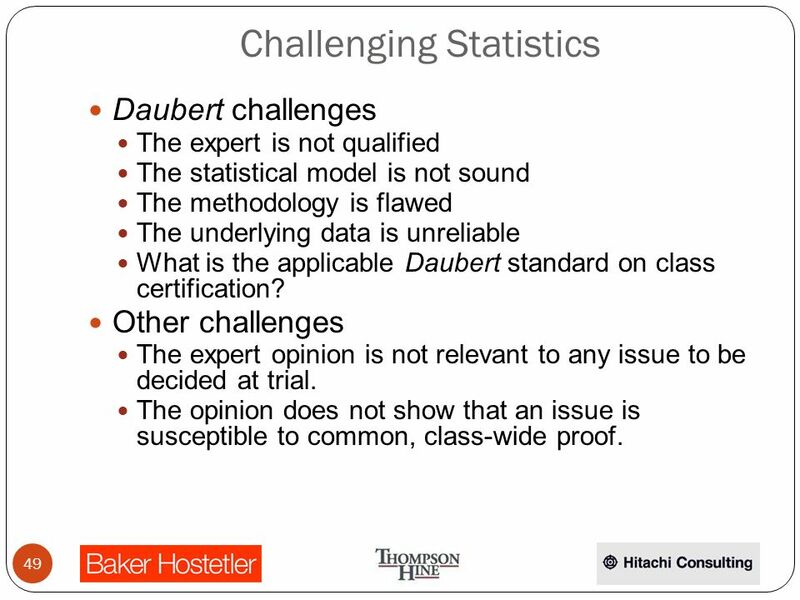 If you dialed in and have any difficulties during the call, press *0 for assistance. 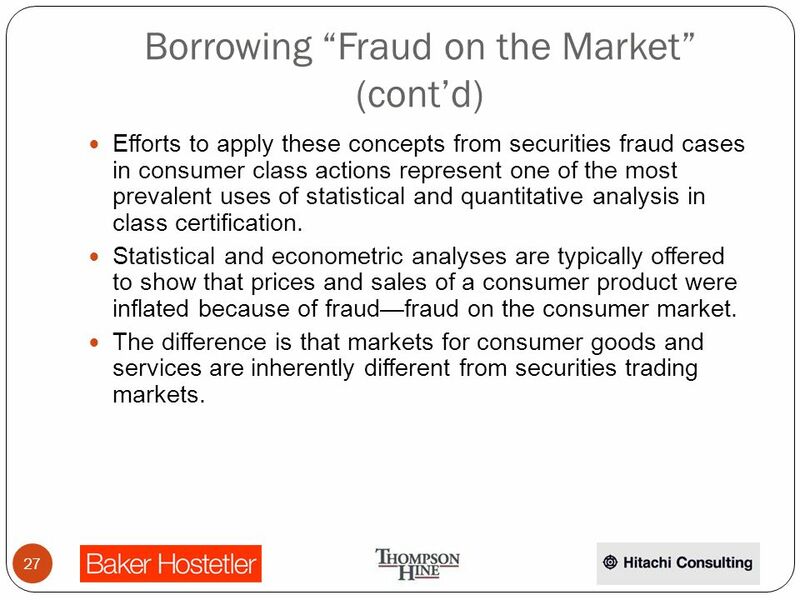 Viewing Quality To maximize your screen, press the F11 key on your keyboard. 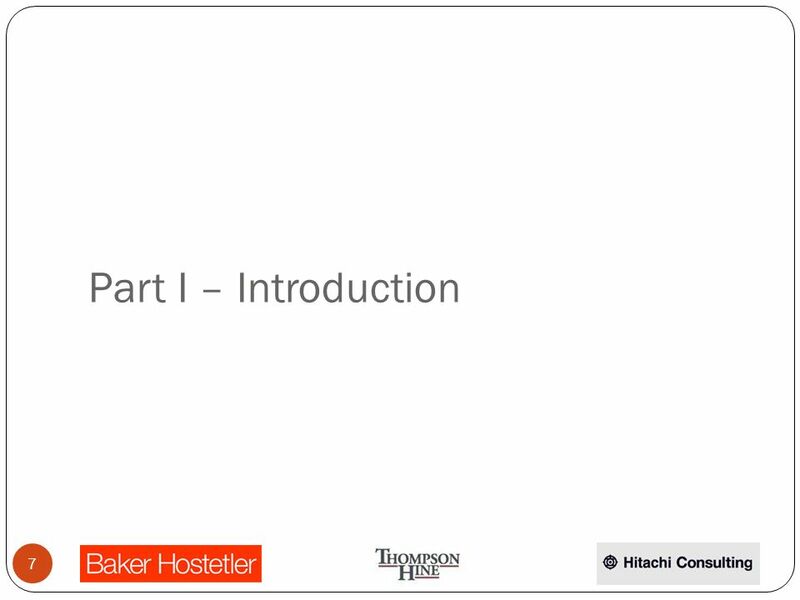 To exit full screen, press the F11 key again. 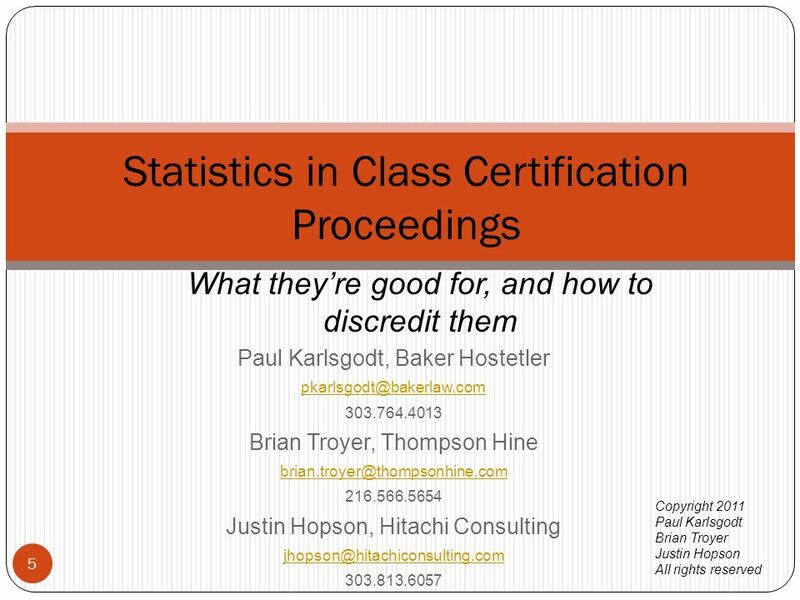 59 Tell us how we did! 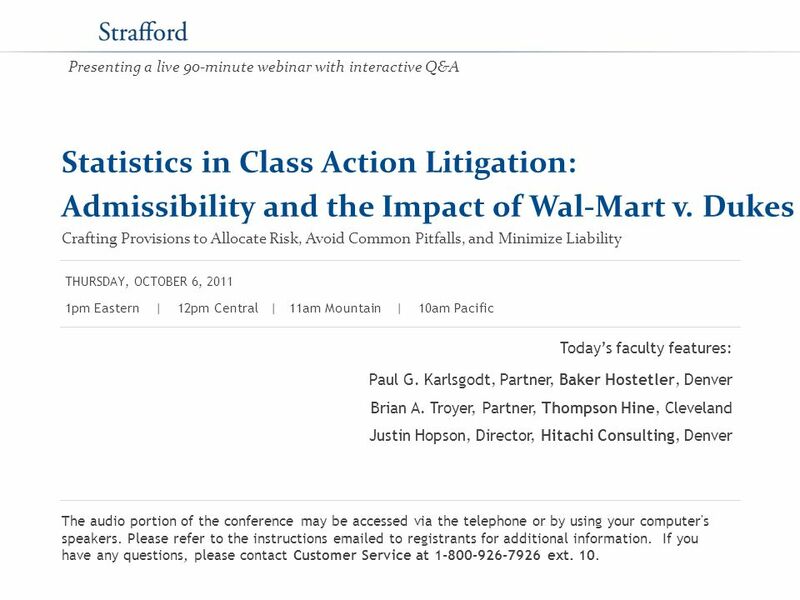 After you complete a brief survey of this program, we'll send you a free $5 Starbucks Gift Card. 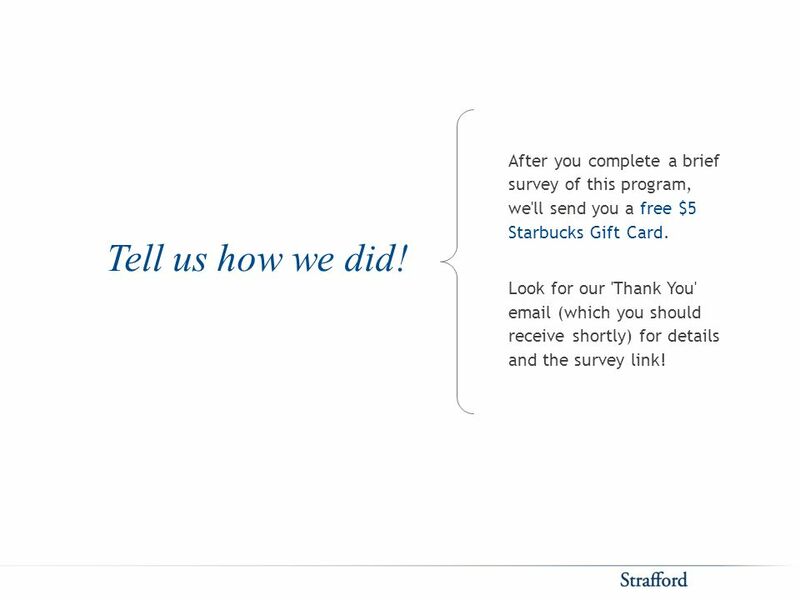 Look for our 'Thank You' email (which you should receive shortly) for details and the survey link! 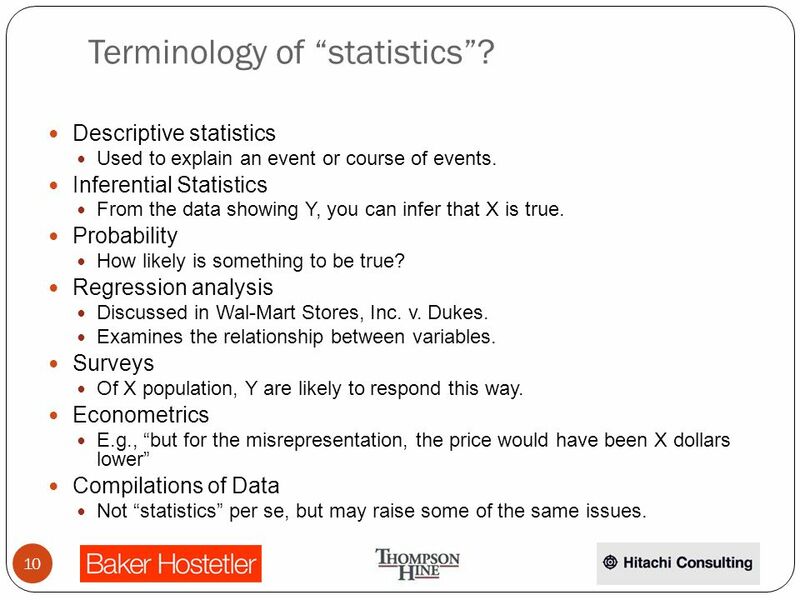 60 Thanks. 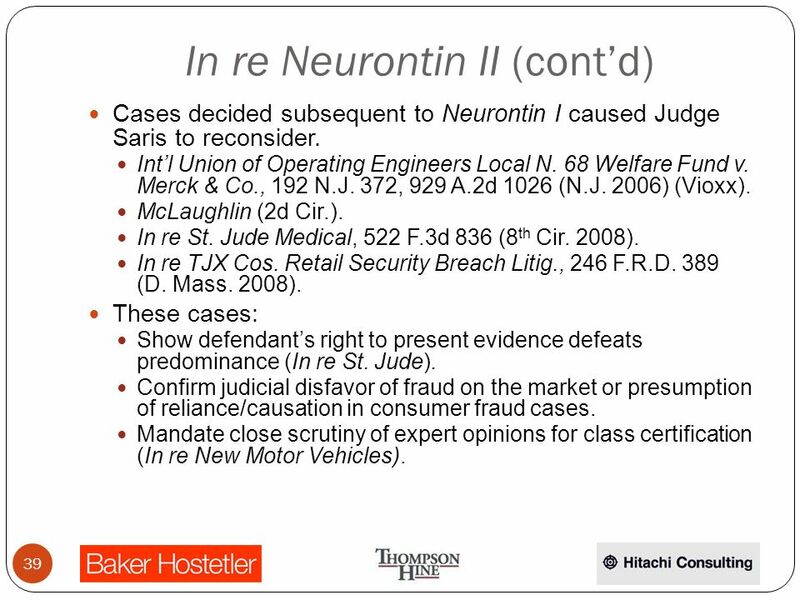 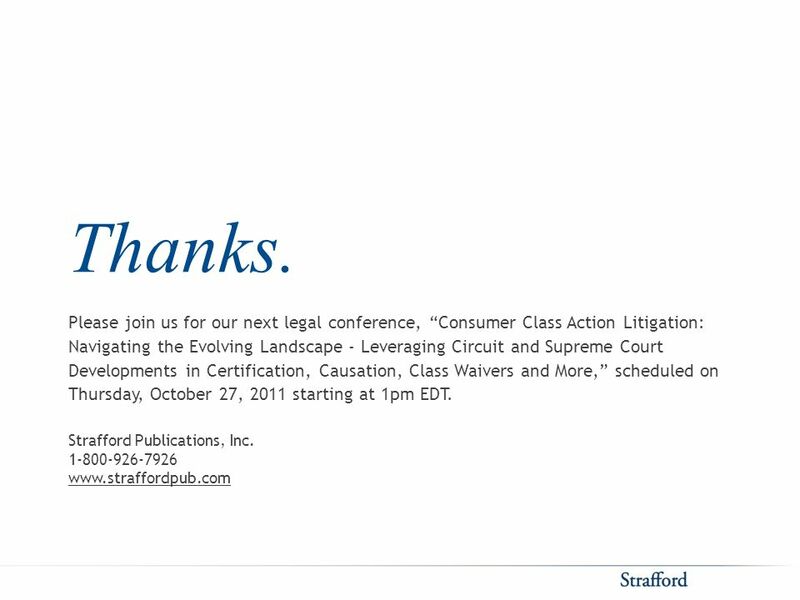 Strafford Publications, Inc. 1-800-926-7926 www.straffordpub.com Please join us for our next legal conference, Consumer Class Action Litigation: Navigating the Evolving Landscape - Leveraging Circuit and Supreme Court Developments in Certification, Causation, Class Waivers and More, scheduled on Thursday, October 27, 2011 starting at 1pm EDT. 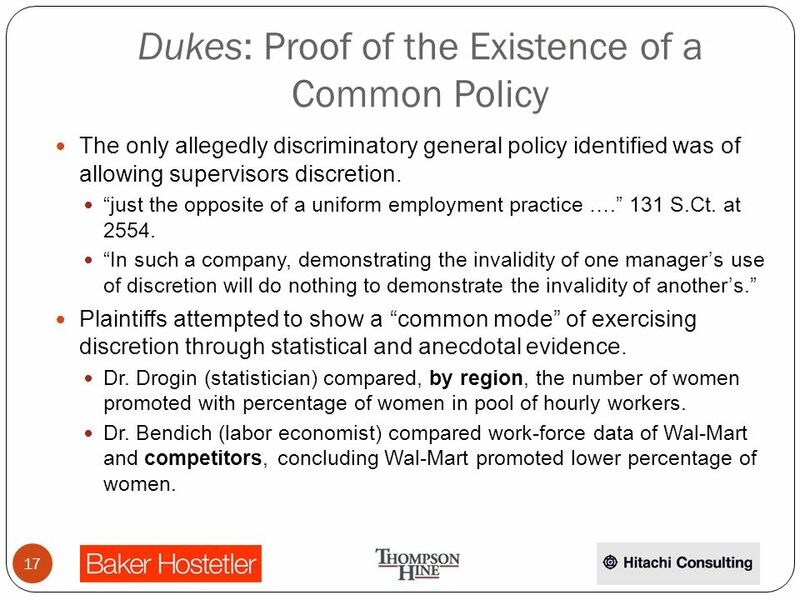 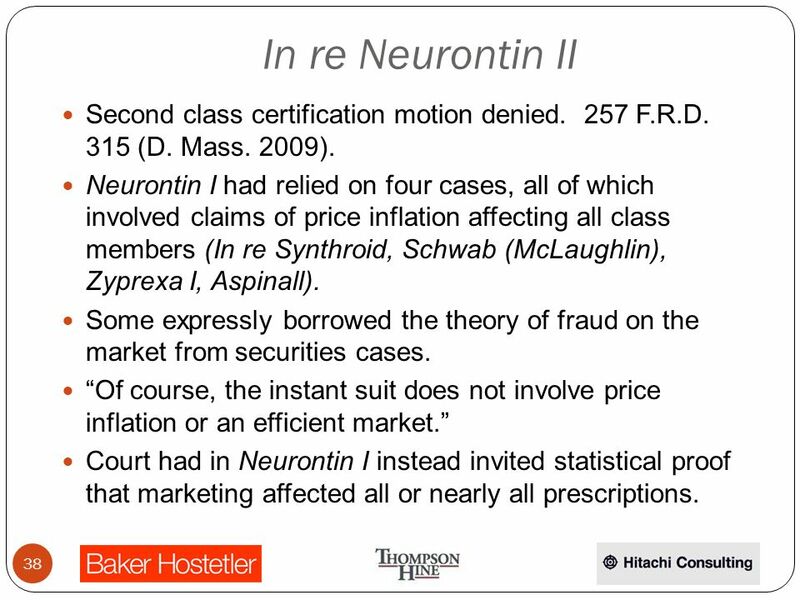 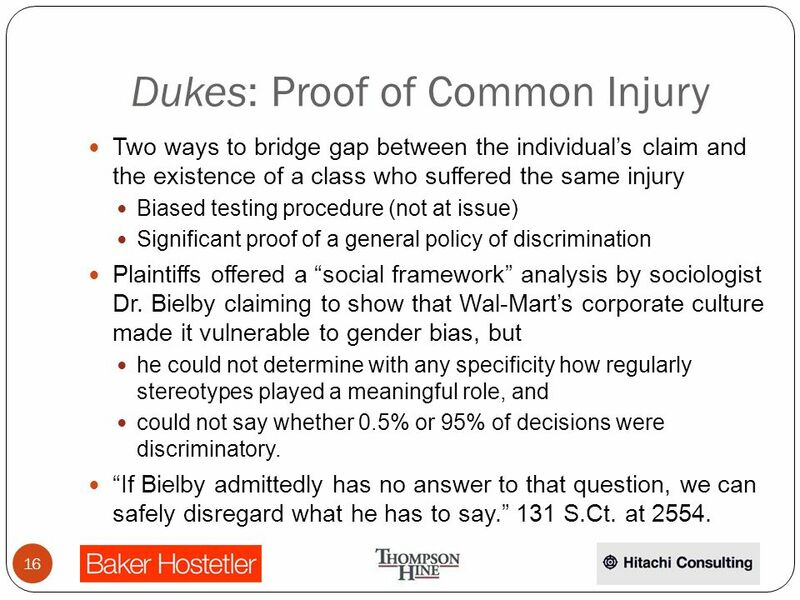 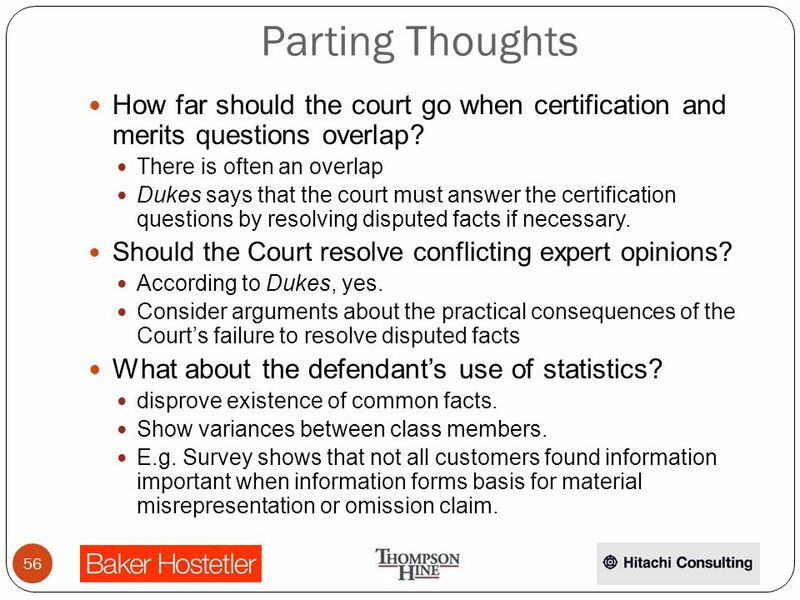 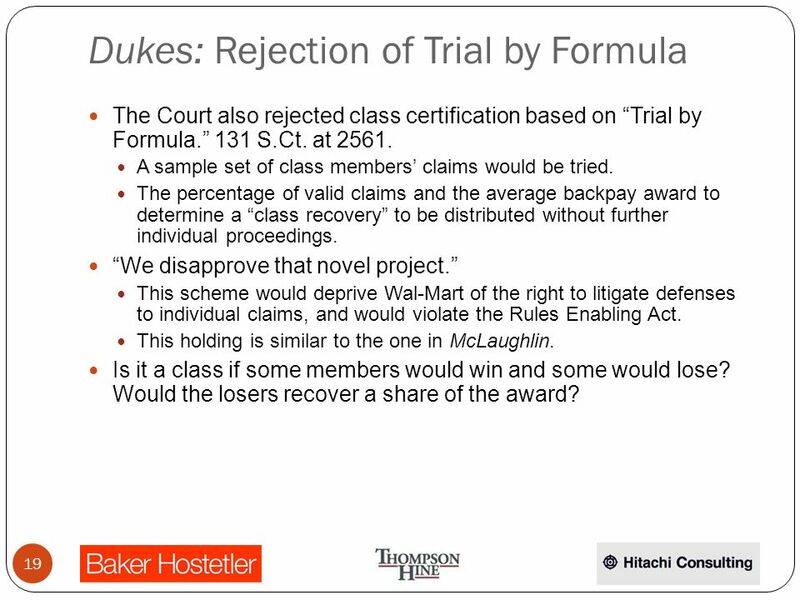 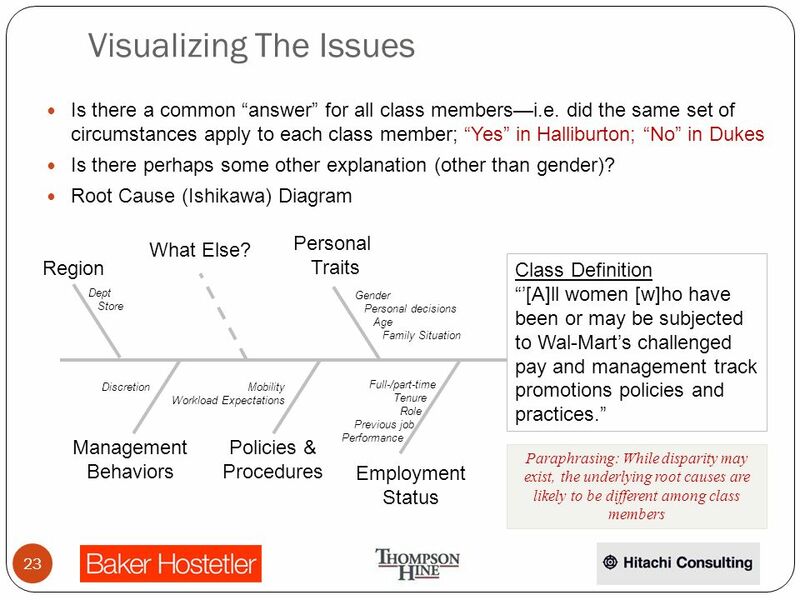 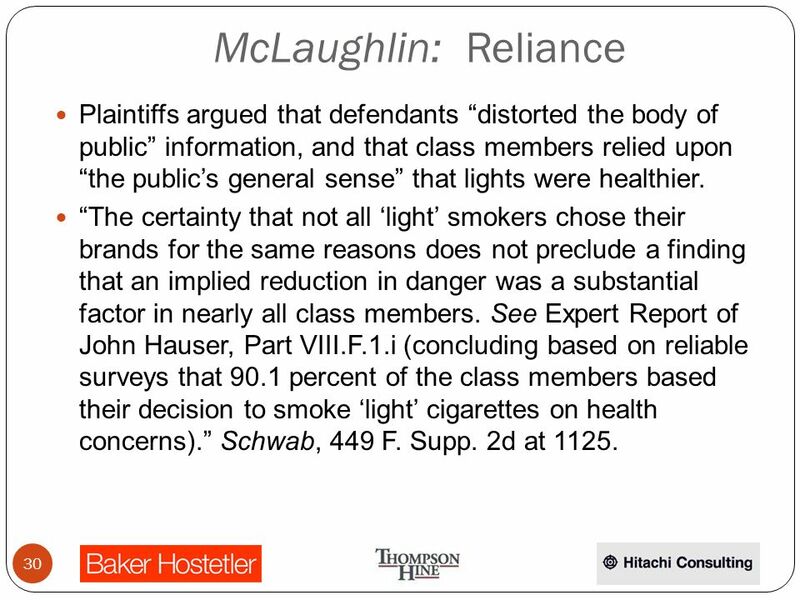 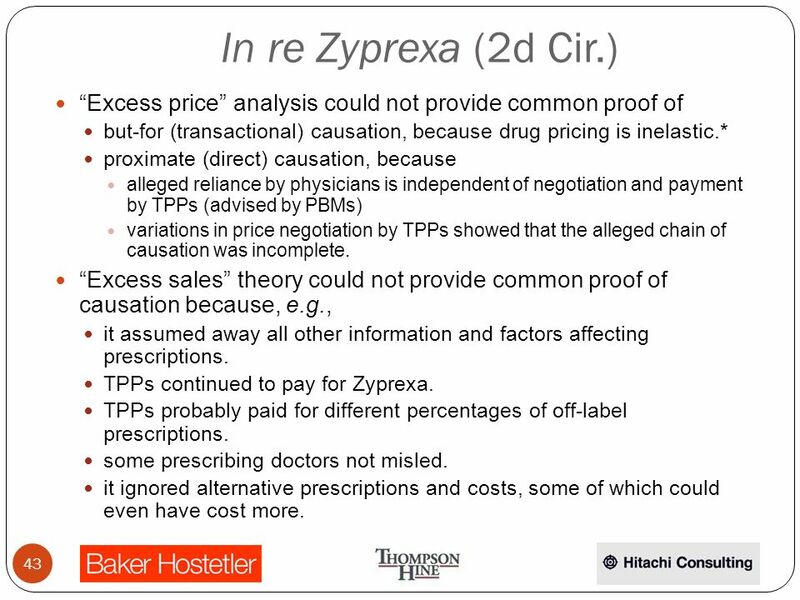 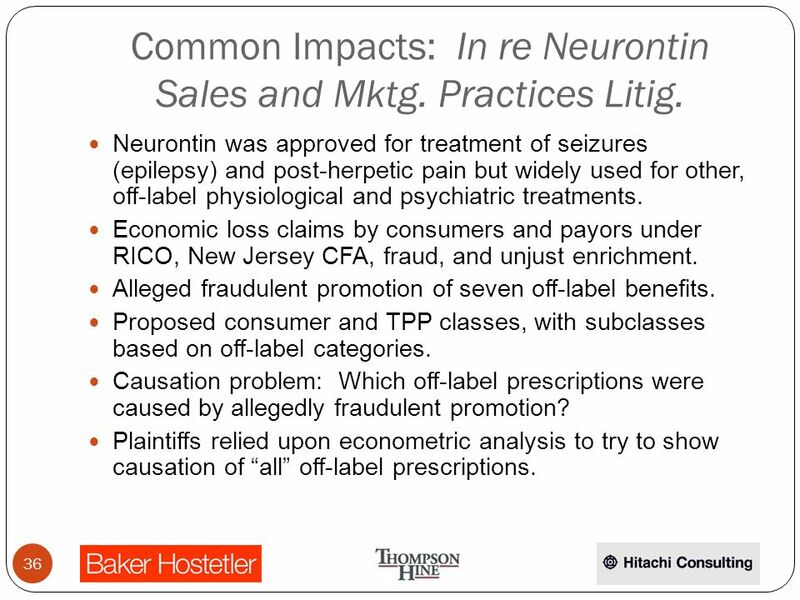 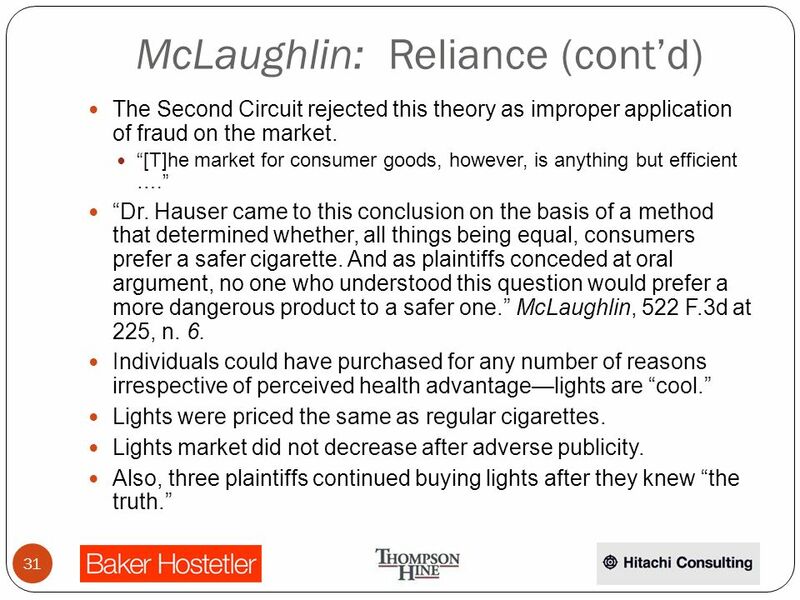 Download ppt "Statistics in Class Action Litigation: Admissibility and the Impact of Wal-Mart v. Dukes Crafting Provisions to Allocate Risk, Avoid Common Pitfalls, and."